Drug and Alcohol dependency are progressive diseases that have several identifiable stages. Trained health professionals, often including a doctor who specializes in Addiction Treatment, are needed to accurately diagnose dependency. 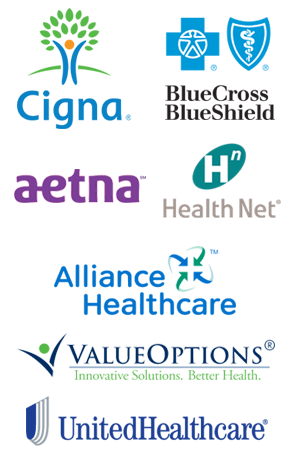 These professionals are also a key component when developing a comprehensive treatment plan. Drug rehabilitation is a progressive series of steps an addicted individual completes to achieve sobriety. These include; initially detoxing their body from the toxic substances they have been abusing, addressing the underlying issues that either led to or were intensified by the addiction, receive therapy for co-occurring mental or physical disorders, and lastly to develop the skills needed to maintain long-term sobriety. An effective Drug Rehabilitation Treatment Center will offer many different types of treatment programs. This variety will insure that they can meet the specific and individual needs of each client. A typical offering of treatment programs include; intervention, detox, inpatient, residential, outpatient, aftercare, sober-living, and/or short-stay options. The length of Addiction Treatment can vary depending on which treatment option is selected for the individual. Different programs can vary from a few days to several months. Research has discovered a correlation between the length of an addicted individual’s stay in treatment, to the success of their long term sobriety. The longer the addict remains in treatment, the higher the percentage of successful, long-lasting sobriety. The ideal length of stay will be different for each individual addict who enters treatment. Each patient requires a personal analysis to determine the length and intensity of each aspect of treatment (i.e. duration, therapy, program structures). There are many factors that determine the cost of Drug Addiction Treatment. It is a highly personal choice when it comes to determining what facility and program structure will suit individual needs. Costs associated with treatment will differ depending on variables such as; location of the facility, type of care (i.e. residential, outpatient, partial-hospitalization, etc), the nature of the addiction being treated, length of stay, presence of co-occurring disorders and the extent of affectedness, public treatment programs vs. private facilities. All of these factors should be considered while making the choice about an Addiction Treatment center. Many people ask “Doesn’t this mean that Rehab just doesn’t work for me?” The answer is simple, absolutely not. Many times previous rehab experiences mean that you are one step closer to achieving and maintaining long term sobriety. There are individuals who respond well to their first stint of Addiction Treatment, while others need a more cumulative approach. The benefit of the cumulative approach is that the individual now knows what did and did not work for them throughout their previous rehabilitation processes. They can now take those lessons and apply them to their current treatment situation to find their path to success. In southern California alone there are over 1200 drug and alcohol addiction treatment centers. Our staff have personally visited many of them. Whether you are looking for a quality affordable or private luxury facility, we can point in the direction of the highest quality treatment programs at no cost to you. Please give us a call today. What types of therapies are used in drug rehab? Each treatment program will have their own therapy schedule which will vary for each individual patient. The therapies completed during rehab will depend on the nature and severity of the patient’s addiction. All or a combination of the following therapies are typically used; counseling, psychotherapy, group therapy, 12-step support groups, and family therapy. There are some Addiction Treatment Programs that use expressive art therapies such as music therapy and art therapy. Many programs implement the more traditional techniques such as Cognitive Behavioral Therapy and Dialectical Therapy. Will I have to take medications during rehab? There are two factors that will determine the use of medication during treatment; the physical and mental needs of the client, and the philosophy of the program. There are programs that follow the philosophy of no medication use under any circumstance. Others only provide medication assistance through the detox portion of the program (quitting certain drugs “cold turkey” isn’t only difficult but dangerous). There are other programs that provide medication throughout treatment and to maintain long-term sobriety (such as methadone maintenance programs for recovering heroin addicts). In addition to comfort measures, medication can also be used to treat co-occurring disorders such as depression or Post-Traumatic Stress Disorder. Even if medication is provided as part of the treatment program, a patient will never be forced to take any medications they do not want to take. When an individual enters rehab they do not give up their rights as a person. In fact, one of the primary objectives of an effective rehabilitation program is to encourage you to take positive control of your life. The involvement of family is a key component of a successful addiction treatment program. It has been shown that familial support can be the difference between long-term sobriety and relapse. An individual’s family can many times offer the necessary support to promote lasting changes for healthy living. Every recovery experience is unique and personal, but often times programs will encourage strong family involvement in the recovery and aftercare process. Many drug and alcohol treatment programs incorporate the 12-step philosophy into their recovery plans, but there are some who do not. 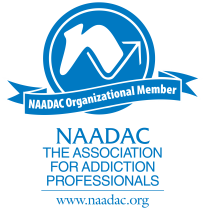 The ones that do may require patients to participate in Alcoholics Anonymous or Narcotics Anonymous programs, and some leave the decision up to the patient. As with any aspect of addiction treatment, the key factor is finding a program that will best fit your individual needs. The 12 Steps have helped thousands of individuals find long-term sobriety, but it doesn’t necessarily mean they are right for you. It would be best to talk with a trained professional who can advise you as well as educating yourself about your options. This will allow you to find the program that is a best fit for you.